For people applying for business permits, real property taxes (amelyar), birth certificates (as well as marriage, death and other certifications from civil registry), even pay the hefty traffic violation fines meted out by the infamous MAPSA traffic enforcers. going to PRC (Sta. Ana Race track or Philippine Racing Commission). the driver to drop you off at the new City Hall. That river looks like it has a redish colour. This is very informative article especially for those commuters who will go to makati, this is also very useful for tourist. 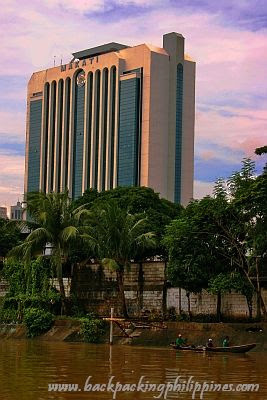 the official residence of of the president fo the republic of the makati?!!! !